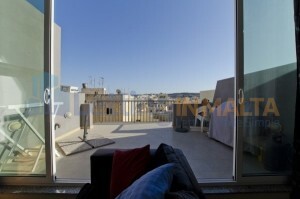 Bugibba Penthouse Malta Lets. 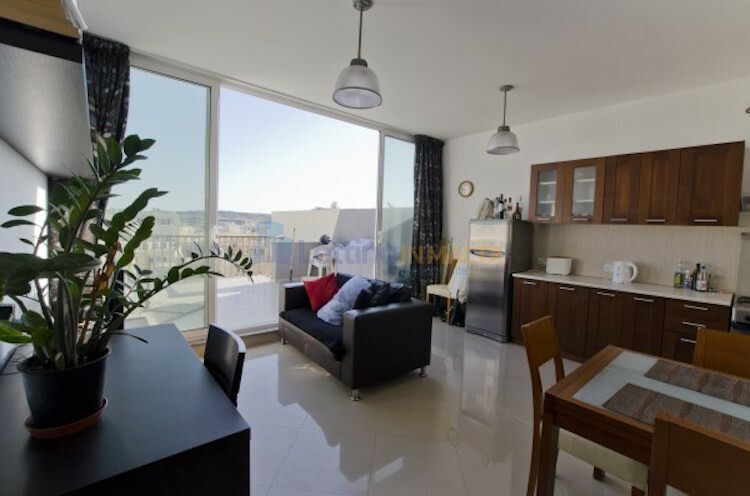 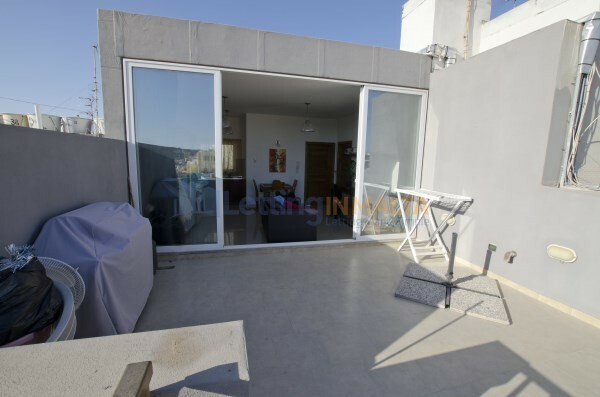 Modern, fully-furnished 1-bedroom penthouse, with a fully-fitted kitchen, spacious bathroom, and a large front terrace with good view. 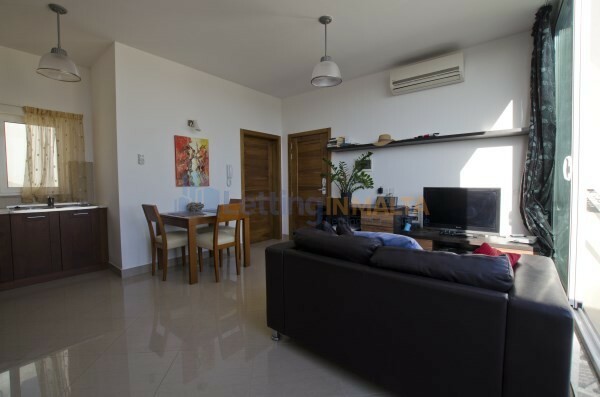 Appliances included are 2 Air-conditioning units, 32″ SHARP LCD Television, fridge-freezer, gas oven, toaster, kettle, iron with ironing board, washing machine and clothes hanger. 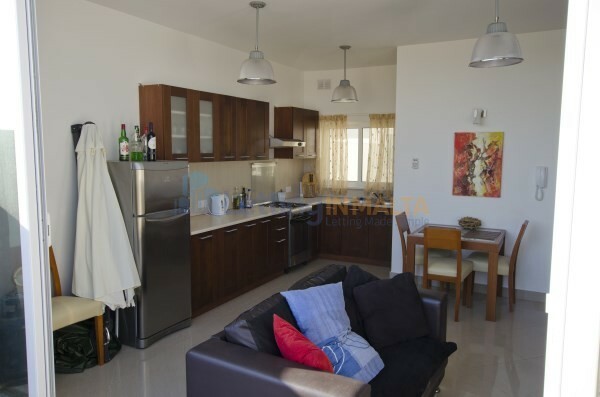 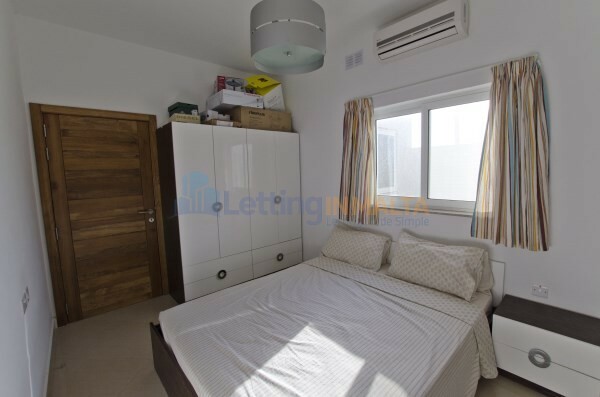 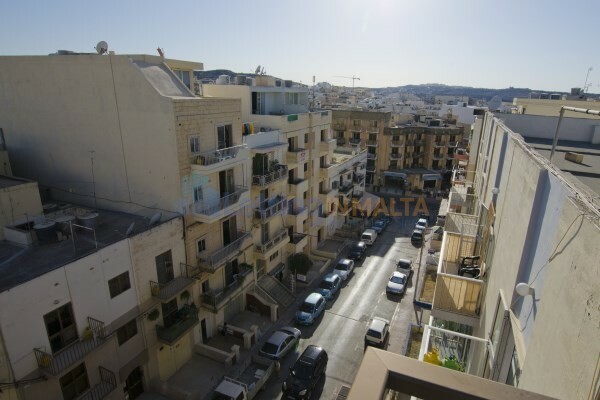 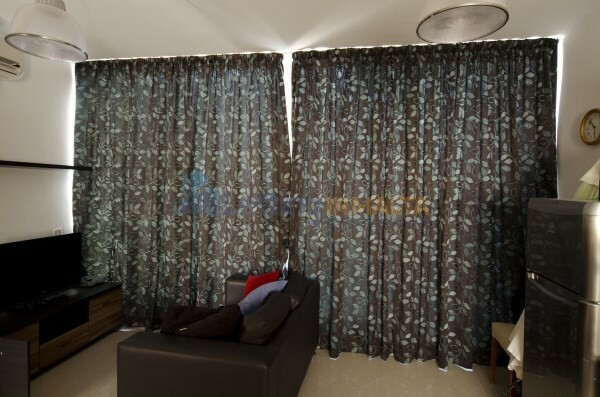 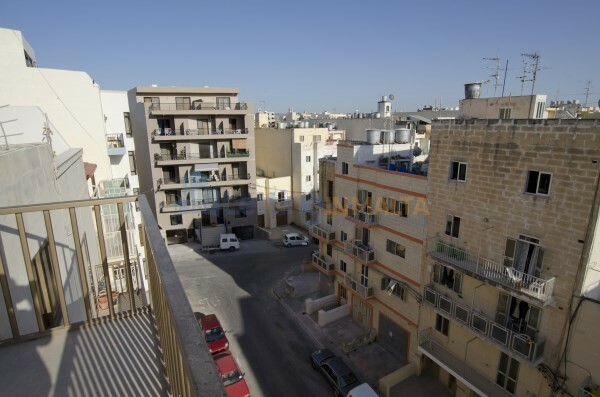 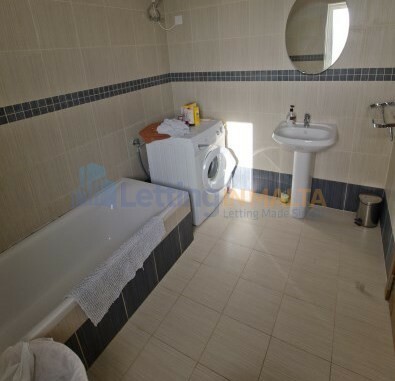 A full package of kitchen utensils and bed linen is also included.The penthouse is very bright and airy throughout and is very close to the centre of Bugibba/Qawra.